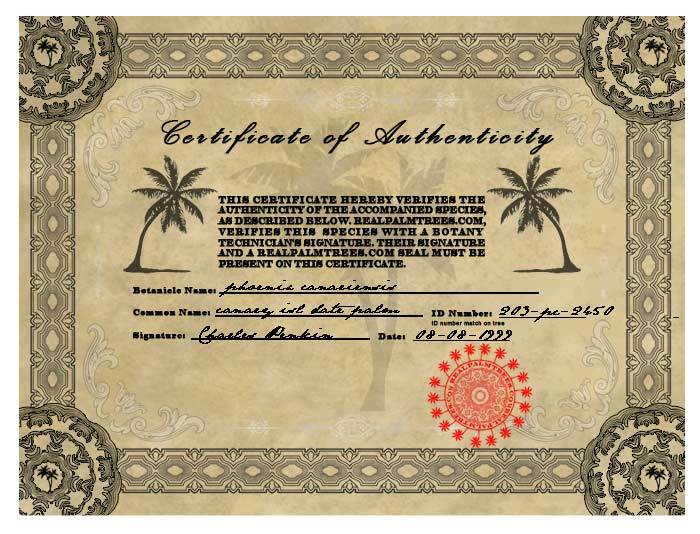 Real's Palm Tree Nursery issues Certificates of Authenticity to all of their palm trees sold. 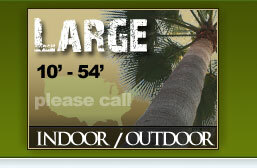 Each palm tree is documented, to insure you receive what you purchase; one of the best selection of palm trees available. 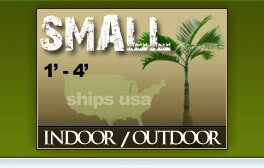 Realpalmtrees.com issues these certificates, because we are emphatic about the quality and longevity of our palm trees. 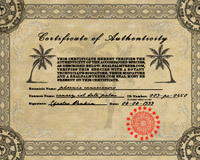 Why a Tree Certificate of Authenticity? 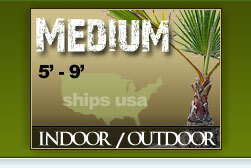 The price of valuable plants, including palm trees is determined mainly by the botanical name.